Imagine sending Spider-Man into mobile action with the Spider-Man 3-in-1 Spider Cycle, featuring 3 modes of play! 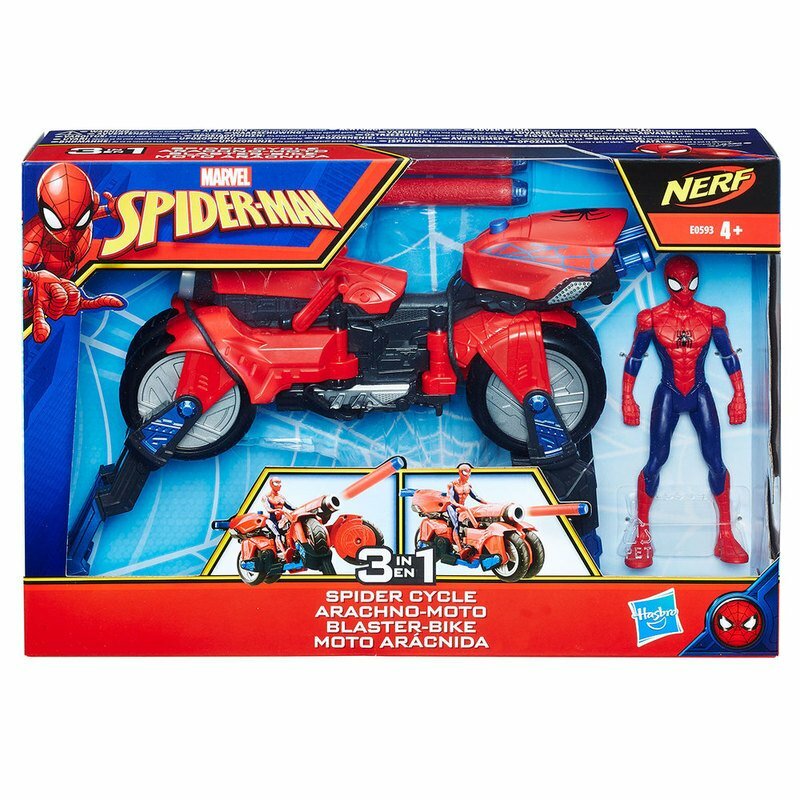 With this vehicle, kids can imagine Spider-Man zooming into battle on his cycle, crashing into action on his crawler, or blasting down the bad guys on his launcher vehicle! The Spider-Man 3-in-1 Spider Cycle includes a 6-inch Spider-Man figure so that kids can imagine Spider-Man cruising into action! The vehicle also includes 2 projectiles for Nerf-firing action and 3 vehicle modes for 3 fun ways to play! Get ready to imagine Spider-Man on high-speed missions to take down the bad guys! Vehicle is compatible with most 6-inch figures (each sold separately. Subject to availability).